A story in the New York Times (January 12, 2009) discusses the importance of manners and how it is the responsibility of parents to instill good manners in their children. Ms. Martin has a great point. People do have feelings. 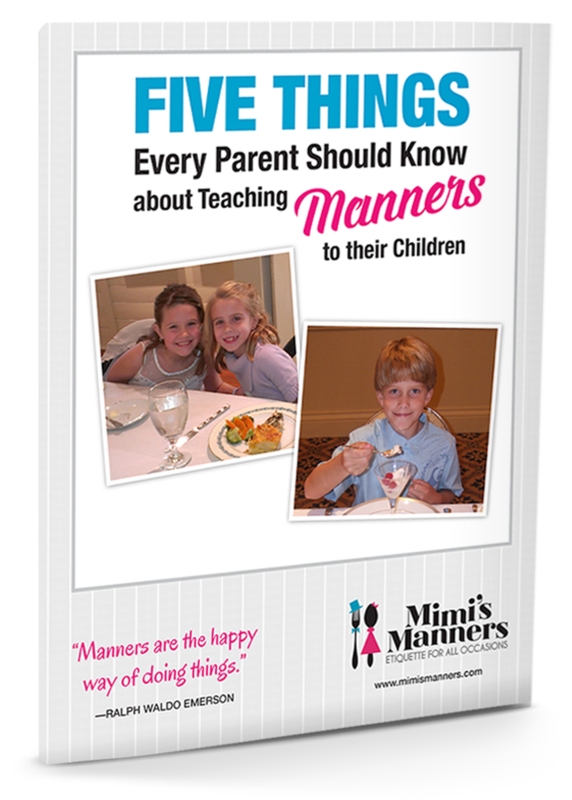 Manners help guide us through life and teach us how to behave in the best way so we don’t hurt others feelings. 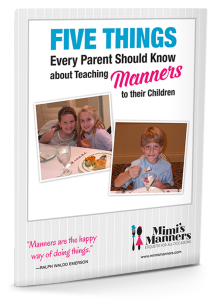 During "Mimi’s Manners" classes, I help instill good manners in children through discussions, examples and real-life situations. Children agree that it’s not right to hurt other people’s feelings and during the class we discuss ways to "treat people the way we want to be treated." The article takes a medical approach to children’s behavior. I found it very interesting.